There are many factors that create popular and productive rental homes in the Lake Tahoe area. Occupancy depends on the property, availability, marketing and many other factors. Typically rental months are during the summer (June-August) and winter (Dec.-February) with spring and fall being the slowest times of year. The most popular times of year for rentals are during the holiday weeks and weekends including; Christmas, New Years, Presidents Day, Easter, Fourth of July, and Memorial Day. The three main types of rental properties in Lake Tahoe and Truckee are: nightly and weekly rentals, ski leases and long-term rentals. Nightly and weekly rentals are most popular in summer and winter months, these require the most marketing, management and maintenance, however, they also allow for fairly flexible owner use. Nightly rentals compete with resorts, hotels and motels, offering renters comparable rates often with better accommodations, locations and amenities. Ski Leases are for renter use of a property for a 3-5 month length of time during the winter. This type of rental is most ideal for homeowners who only use their property during the summer months. Long-term rentals can be month-to-month, 6 or 12 month leases. These primarily supply housing for local employees, individuals, families and students; the standard rate for long-term rental homes is $500 per bedroom (however, this varies widely). Properties that can accommodate more people, have amenities such as a hot tub, tennis courts, swimming pool and lake access as well as homes with views are more desirable to people seeking vacation rentals. Properties near ski areas do better as winter rentals and properties closer to the lake do better in the summer as well as year-round. Our onsite property manager may be able to provide you with more insight as to the occupancy rates for various types of homes in several areas and the management fees associated with doing so. Tahoe City, Homewood (west shore), Kingswood Estates, Northstar, and Squaw Valley are good rental locations. Tahoe City is centrally located and very popular as a vacation destination at the lake. Homewood/West Shore offers subdivisions with good lake access and amenities; Chamberlands is one of the most popular associations offering tennis courts, swimming pool, beach and pier. Kingswood Estates is located north of Kings Beach with nice homes, close to the lake, casinos, and Northstar. Northstar is a popular ski area and does well for rentals; there is also a golf course and great amenities. Squaw Valley is another popular ski area with a golf course and village with restaurants, shops, etc. 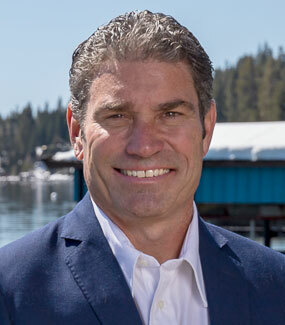 My advice to those investing in a vacation property in the Lake Tahoe area is: find something you like and enjoy first and foremost and market that property to renters as best you can.